If you’ve ever been in a cash crunch and wished you could borrow money without paying a fortune in interest, there’s a new company trying to change the credit landscape by offering you interest-free loans. 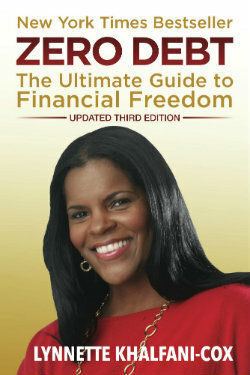 That’s right: I said zero percent loans – as in, no interest, and no fees either. The company is called Float Money LLC and it has a unique business model that should be of interest to consumers everywhere. Not only does Float provide loans of up to $10,000 without charging people interest, the firm also helps its clients to better budget, and to establish or improve their credit ratings. Those are super important financial goals in today’s credit-driven economy. “People think high loan rates are a necessary evil. But Float is the new way to borrow,” says Float founder and CEO Shane Hadden. Here’s how Float works – and how to know whether or not it’s right for you. 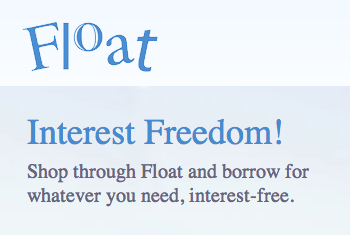 For starters, it’s important to realize that Float isn’t a bank. Instead, Float is essentially a shopping network that makes fee-free and interest-free loans based mainly on your future spending. What do I mean by a “shopping network?” Float has assembled an enormous shopping marketplace, consisting of a network of more than 1,000 online stores and local merchants. Practically any everyday item you’d like to buy online – from clothes and food to books and household goods – can be purchased via Float’s website, and obtained from well-known brands where you may already be shopping. For instance, Float’s online network includes every retailer from Amazon.com and Barnes and Noble to Office Max and Linen ’N Things. With Float’s Planned Spending Program, you can also spend locally – offline – and shop in person at a slew of retailers, including: Applebee’s, Best Buy, CVS, Children’s Place, ExxonMobil, Gap, JC Penney, Kroger, Lowe’s, Macy’s, Panera, Payless, Safeway, Staples, Starbucks, Stop n Shop, Texaco, Zappos.com and more. With the Planned Spending Program, you go through Float to buy a gift card online for use at any of these retailers. Float sends you the gift card, and then you use it to do your regular shopping. And here’s where Float’s business model gets really interesting. Float seeks to reward customers for their spending loyalty. So all those gift cards you buy through Float help you to secure a 0 percent credit line funded directly by Float. Instead of offering people cash rebates as incentives for spending, Float provides its members with an interest-free line of credit that can be used for any purpose: to pay bills, college expenses, or even to knock out other higher interest rate debts. The minimum credit line Float offers is $250. The maximum credit line is $10,000. How big your credit line is depends on your normal monthly spending, your membership status at Float, as well as your credit rating. But the good thing for those with bad credit – or even no credit at all – is that you can still get a credit line from Float even if you don’t have a high FICO score. And you get the same 0 percent credit line that someone with perfect credit obtains. In fact, Float executives hope that people with spotty credit or thin credit files – including so-called “unbanked” consumers – will recognize the value proposition in Float and use it as a credit-building and budgeting tool. For low-income and middle-income people who resort to payday loans or heavy use of credit cards, this zero percent credit line could come in handy for unexpected bills or other emergencies. So why the zero percent interest model? Hadden says he’s not bashing credit card companies or lenders that charge a fee for loans. But he also insists that the extension of credit can be offered in a different way than is currently the norm in the U.S.
“Over time, as they prove themselves as loyal members of Float, we increase their lines of credit,” Hadden adds. Because Lexington, KY-based Float is still relatively new, the company hasn’t yet gained widespread consumer recognition, nor has it extended credit lines to scores of consumers. So far, the company has amassed just over 1,200 registered users. But Hadden hopes to change that soon. Float is now in 10 states — including Florida, New York, Michigan, Texas and Kentucky — and Float is actively working to go national. (Companies that lend money must be either registered or licensed, or both, in every state in the U.S. in order to do business). “We would love to be in most states by the end of the year (2013), if not all of them,” Hadden says, explaining that in some states the company doesn’t need a license because it is lending at zero percent. But if you think you can just get a credit line from Float and then skip out on paying the bill, think again. Although the company charges no interest, no late fees or penalties, Float is still a traditional credit-reporting entity. That means if you get a credit line with Float, the company reports it as a revolving line of credit to the credit bureaus: Equifax, Experian and TransUnion. Pay on time, and you’ll establish or start to build a positive credit track record. But if you don’t repay your Float loan, you’ll damage your credit – as opposed to helping your credit rating. Some people use their Float line of credit as a debt reduction tool. By moving their spending through Float, consumers start to harness their everyday spending in a way that allows them to access that interest free line of credit. They’re then able to transfer, for example, credit card debt at 15 percent or 20 percent interest and use their zero percent Float line to pay off their credit card bills. In such cases, borrowers not only save finance charges, they are also able to pay off their debts much faster. Those with good credit often use Float’s platform simply as a budgeting tool. The monthly gift cards consumers purchase help them keep their spending in check and also allow consumers to allocate their money into specific budget categories, such as gas or food. “It’s kind of like using the envelope system,” Hadden says. You may be wondering how Float can loan money to customers at zero cost. (I certainly was). It’s because Float is being paid a commission by the stores that are selling to consumers. Float is also able to secure those gifts cards its members buy at a discount from retailers. “We’re getting the same amount of money as a lender. It’s just not coming from the borrower. It’s coming from the stores,” Hadden explains. For example, when a person shops through Float and buys, say, a $500 Kroger gift card, the gift card Float sends its member will be worth the full $500. But Float has often been able to purchase that card at a discount. “So, in effect, it’s the grocery store paying Float, but the member gets the interest free line of credit,” Hadden says. And many stores are happy to pay Float a commission because those retailers are getting additional, incremental sales via Float’s customer base. In the end, if Float’s lending model proves successful, it could be the start of an alternative way of extending everyday credit to U.S. consumers. The idea isn’t so far fetched. After all: car dealers, furniture stores and other companies offer zero percent deals all the time. And since zero percent loans are about as cheap as borrowing can ever get, that should be music to consumers’ ears.